It’s September again. Hope you’ve enjoyed your holidays and are full of bright perspectives for this new season. On my end, it looks pretty exciting and I can’t wait to go on with this blog and reveal all the dope schemes that I’ve been plotting on. 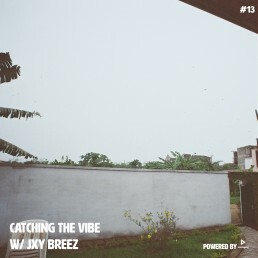 In the meantime, you can get the latest edition of Catching The Vibe. The homie Alpha Wann announced that his first album UMLA (Une Main Lave l’Autre) will be out on September 21st and delivered its second extract with the Hologram Lo & VM The Don produced “ÇA VA ENSEMBLE”. Straight heat. I’ve been following 12 Monkeys Records for a while now. The Paris based label home to Cham, Deeway, Ron Brice & Stanza is moving in silence but has been dedicated to provinding bars and dropping traditional gritty New-York inspired Rap releases. It’s always good to see brothers sticking to a sound and not following trends “just because”. Deeway keeps it swaggy on the Ron Brice assisted “Swish”. Talking about bars Termanology & Conway, Mick Jenkins and Curren$y will keep you fed. On the smooth tip, female singers link up with male producers for the greater good of planet Earth. I have really enjoyed Zilo‘s “Pretty Certain” (prod. by Denzell Himself), A l l i e & The Kount’s “Oowee” and Jean Deaux‘s “Back 2 You” (prod. by Phoelix). Some jazz as usual, cause you know what it is, with Web Web, Moses Boyd, Yazz Ahmed, Braxton and Juniper. Long story short, a lot of dope music this week! Click the cover artwork to listen to the playlist and don’t worry, this year is just going to be fine! Subscribe on your Apple Music, Spotify, Deezer, YouTube Music etc … to make sure to catch the vibe next time it comes around.